Login to Web-Administrator of the website you want to use spreadsheet extension (cfspreadsheet). Here I am installing this extension for the website, railo.sudosu.in. In such case, the railo Web-Administrator url should like the following. 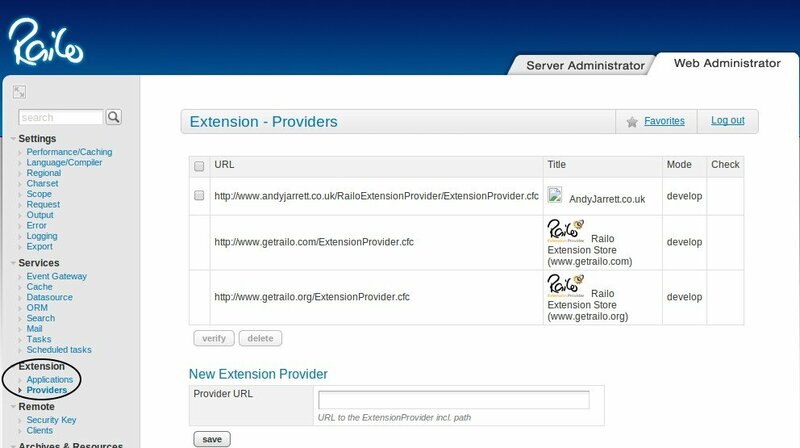 You can add the following URL in 'New Extension Provider'. 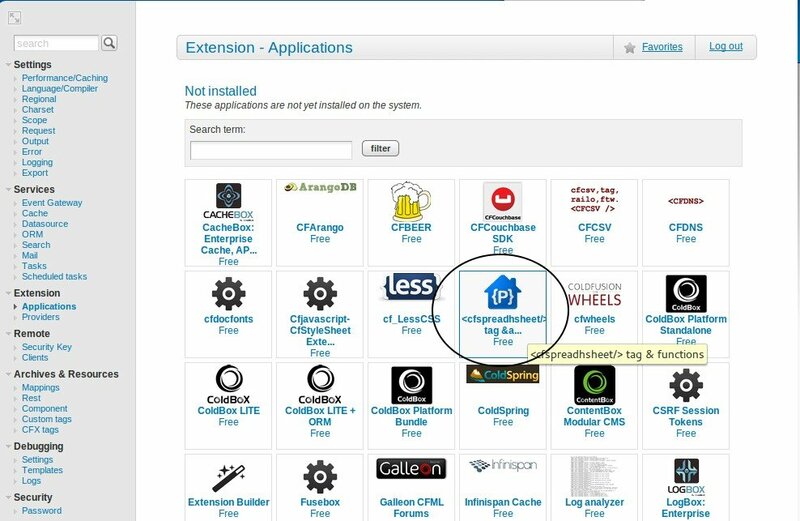 Once it is added, it will show in 'Extension - Providers' section. 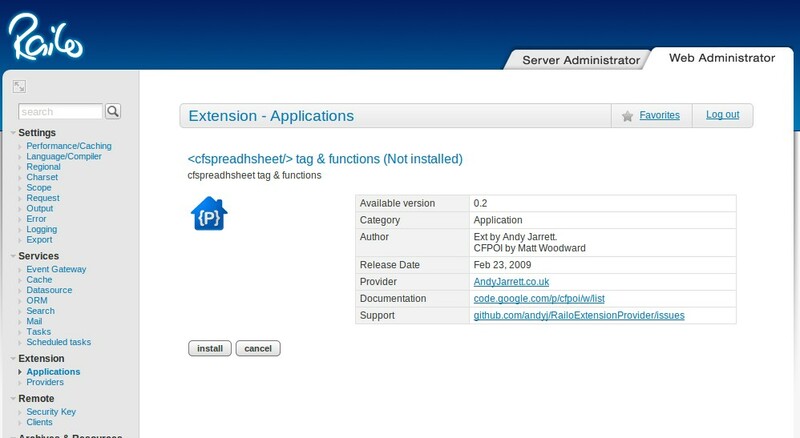 Then go to Applications (still under Extension), the cfspreadsheet extension now start displaying in there. 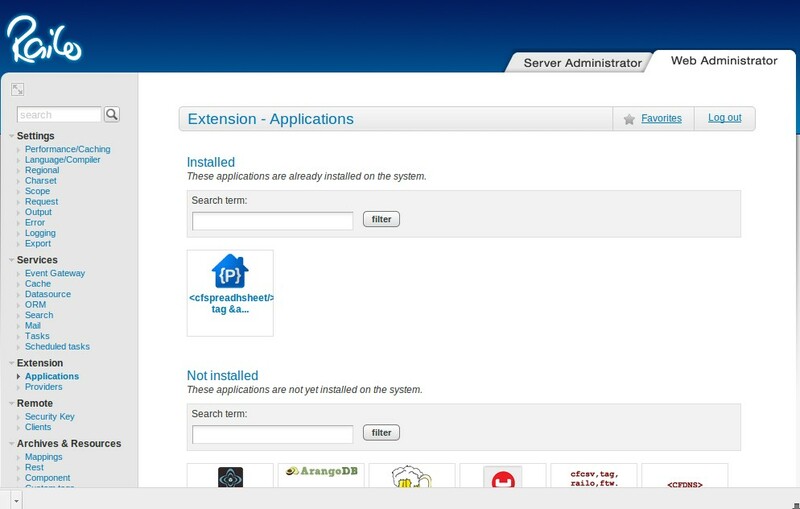 You have to select and click 'Install' to install this extension. Once the installation completed, you can see the 'cfspreadsheet' in the installed section as like in the screen shot given below. Once you restarted railo service, you should be able to use the cfspreadsheet functions and tags for that website. If you are getting the following error when using spreadsheet file even after installing it. java.lang.NoClassDefFoundError, Could not initialize class org.apache.poi.openxml4j.opc.internal.unmarshallers.PackagePropertiesUnmarshaller. The following link will help you to fix it. This entry was posted in Railo by Unknown. Bookmark the permalink.